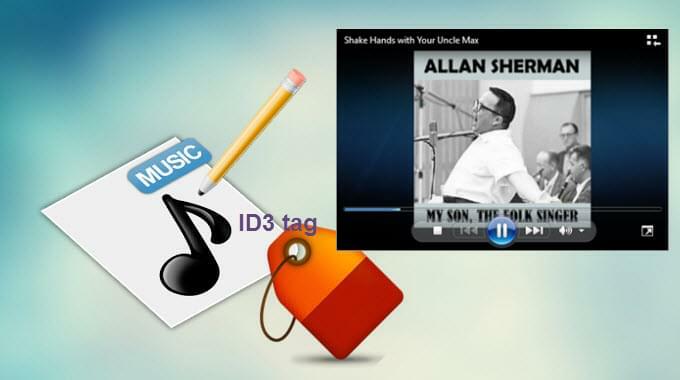 An ID3 tag is a metadata container that contains textual information about an MP3 file. 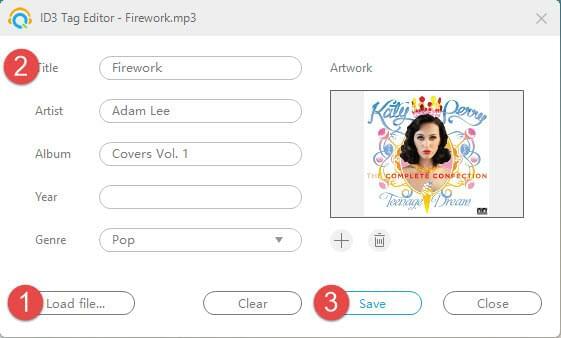 All of the relevant information about the MP3 file such as the album name, song name, artist’s name, genre and track number are embedded within the audio file in the format of ID3. These information in the ID3 tag can actually be edited, changed or otherwise removed completely. To do it, you will need a tagger to edit ID3 tags. The main purpose of the tag editor is to sort and scrutinize all the information embedded in the file. For instance, it can help you organize the songs easily and change the wrong information in it. Below is a quick list of the best ID3 tagger that you can use. Streaming Audio Recorder has very functional features which including the ID3 tag identifier and the ID3 tag editor. In addition, aside from MP3, this tool can also identify ID3 tags for OGG and FLAC. Besides, if you use it to record music, it will automatically add ID3 tags. Below is the guide on how you may utilize this software. Drop down the menu button and then click “ID3 Tags Identifier”. A new window will pop up, click “Add files” or “Add folder” to add the audio files that you want to identify. Select the files and then click on “Identify” to identify all of the music information. Within several seconds, all of the details about the audio will be seen on the right part of the tool. Drop down menu button and then click “ID3 Tag Editor”. Simply click the “Load file” button, then you may add, edit or delete details such as the title, artist, album, year and genre. Once finished, just click the “Save” button. Open your music folder, you will find the tracks come with the new ID3 tags. It is not just the best ID3 tag editor but it is actually a great tool with powerful features. As mentioned, it is an awesome tool in recording audio, yet it can also be used to convert files, access online radio stations and search/download songs from the internet. TagScanner is also a good tool in organizing and managing ID3 tags. It supports a wide range of file formats such as MP3, OGG, FLAC, WMA and many more. 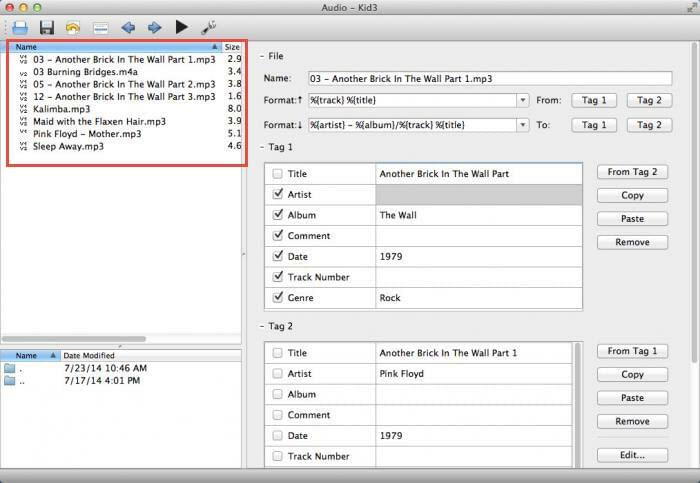 This free MP3 tag editor can also import album cover and information from Discogs and Amazon. Except recognize the tracks one by one, it can also be used in renaming multiple files. To execute this task, you need to create scripts with rules for that. You may decide whether you’ll just put the title of the song plus the artist, or whatever it is that you like to include. All details about the song might appear in its “given name” field if you preferred so. However, this tool is a little complicated since it does not have a normal Windows menu. Thus, you might need to spend longer time in familiarizing the interface. KID3 is an ID3 tag editor for Mac. It supports MP3 formats and letting you generate tags from file name and other information about the audio file. It can also import tags from online databases. To use it, just simply launch it in your Mac PC and then drop down “File” > “Open library” to choose the files you want to edit. You may also click on “Add recent” > “Folder” and all the songs in folder will be inserted. Next, click on the song and you may start editing the ID3 tags on the right part of interface. Once done, click “Save” button. The problem about this program is that it does not have a column view of tags for multiple files. Sometimes, it is also a bit slower as compared with the other tools. The above introduced programs all can be used to manage, organize and edit your audio files. If you want something that is easy yet powerful, Streaming Audio recorder is suggested. 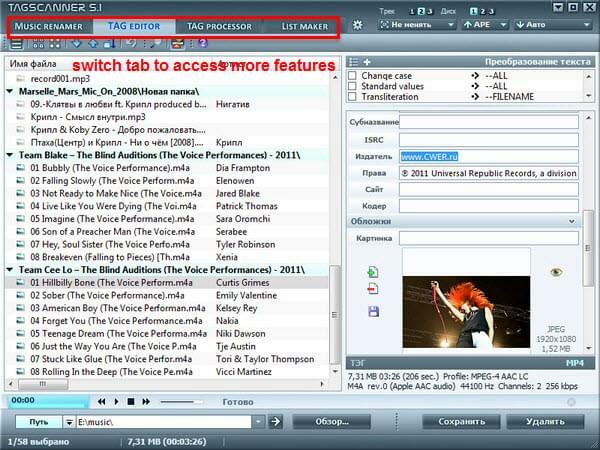 TagScanner is a professional program to edit ID3 tags, but you need to spend some time in creating the suitable rule. As for KID3, Mac fans surely will love its intuitive interface and concise features.